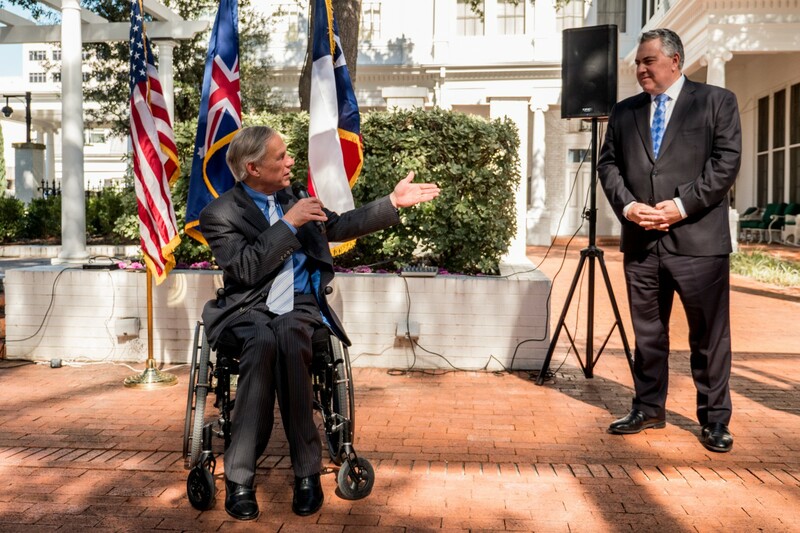 Governor Greg Abbott today delivered remarks at the 2019 Great Mates Australia-Texas Barbecue at the Governor's mansion in Austin. The Governor spoke on the lasting economic and diplomatic ties between Australia and Texas and recognized the shared values of freedom and opportunity between the two entities. The 2019 Great Mates Australia-Texas Barbecue, sponsored by the Australian consulate of Houston, brought together members of the Texas Legislature and Australian officials to celebrate Texas and Australia’s historical friendship. Over 20 members of the Legislature attended the event, and special guests included the Honorable Joe Hockey, Australian Ambassador to the US, and the Honorable Peter McGauran, Consul General for Australia in Houston.